As one of our community connections initiatives, Niagara Workforce Planning Board maintains its Mentorship Program for newcomers to Canada. Our program pairs internationally trained professionals (ITPs) with established local professionals in the newcomer's field of expertise for a mentoring program designed to introduce them to their industry in Niagara, and Canadian workplace culture. What can I expect to gain as a mentor? 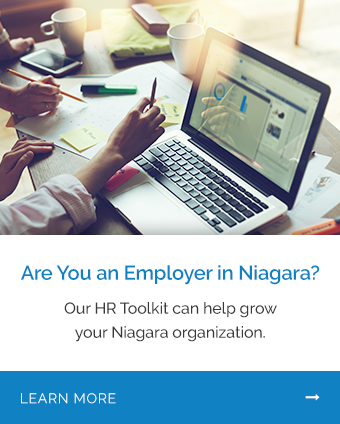 Expand your network, enrich Niagara's workforce, broaden your intercultural awareness. Join our professional mentorship program. What can I expect to gain as a mentee? New professional networks and job search strategies. An understanding of their profession in a Canadian context. Knowledge of the Canadian job market. Guidance and direction in obtaining professional designations. Meaningful personal and professional connections that allow them to smoothly transition into working and living in their new community. We are currently in need of established professionals in many fields and industry sectors who are interested in developing a supportive professional relationship with an internationally trained mentee. If you or anyone you know may be interested in learning more about becoming a mentor, please contact our team by using the form on this page.